Automated messages to keep your team on track. Stay on top of important events within your customer support system by using Alerts and Notifications. Weather it's an incident that needs resolution, or an SLA that is about to expire, using alerts will keep you informed and your customers satisfied. Use Alerts to stay aware of SLA performance and critical deadlines. Become instantly aware when an incident needs to be escalated. With our latest apps, you can receive notifications on the go. Tracker Beyond was built with alerts in mind. When inside of TB, you can find alerts waiting for you in the top right corner. Our color coding system makes it easy to understand what severity issues are in the pipeline so your agents can quickly get to those that are of highest importance. 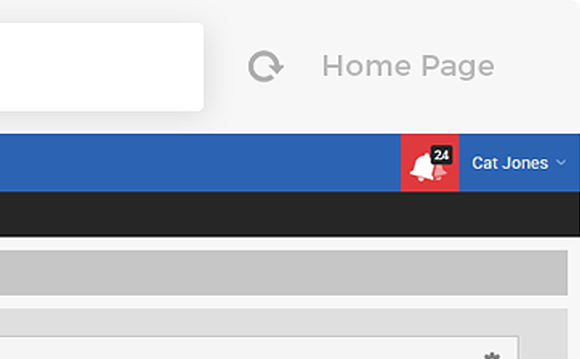 Our Alerts Manager will keep all your alerts in one place as well as keep tabs on how many alerts of each type you have. 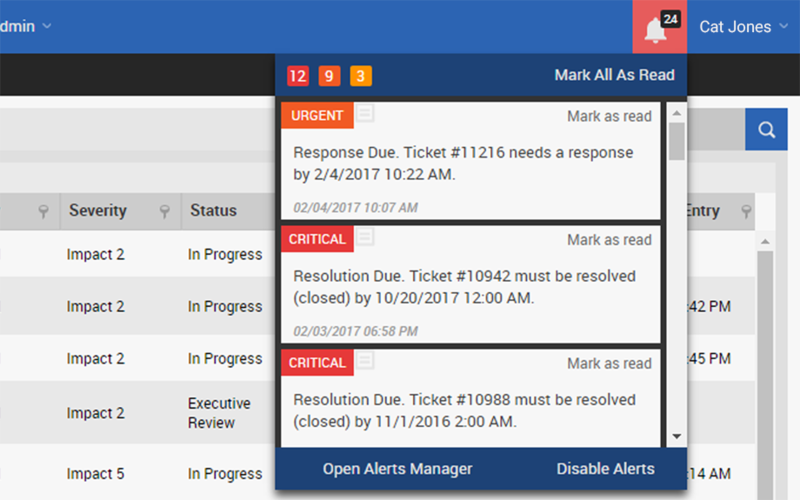 The alerts manager allows you to dig deeper into the alerts by opening corresponding incidents, marking alerts as read, and more. Weather your customers are in the office or on the go, give them the option to receive notifications regarding their open incidents. 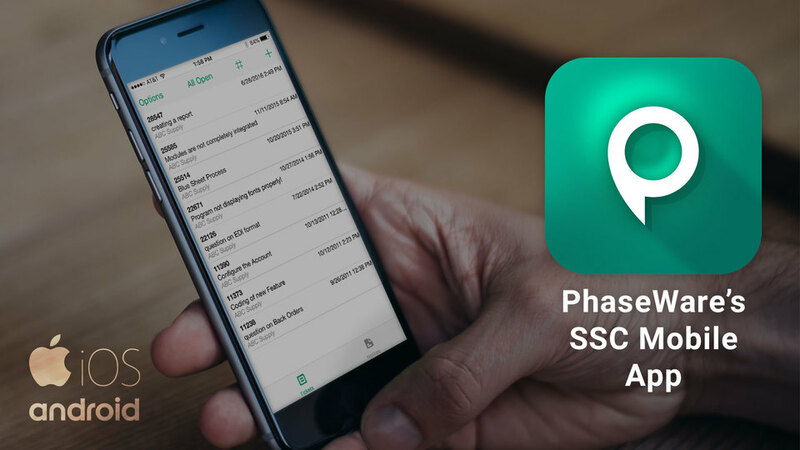 PhaseWare's SSC Mobile app is a native app for Android and iOS. It even features native notification support for the apple watch!